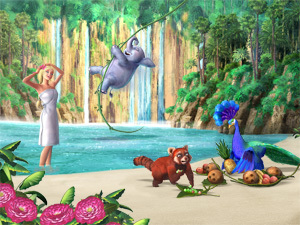 It's time to set sail with Barbie as The Island Princess in this full-length, original musical featuring nine fantastic songs. 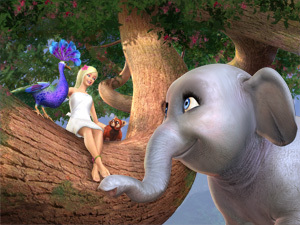 After being shipwrecked on an island as a little girl, Rosella (Barbie) grows up learning to talk and sing with a family of loving animals: the red panda Sagi, the peacock Azul and the baby elephant Tika. 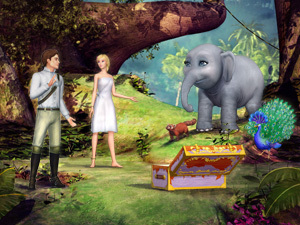 But when Prince Antonio discovers their tropical paradise, curiosity about her past leads Rosella to journey with the prince to his castle. 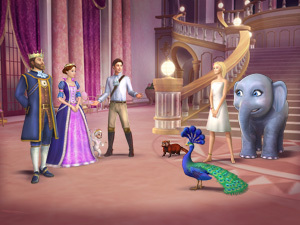 As she and her animal friends explore civilization, they uncover an evil plot to take over the kingdom! 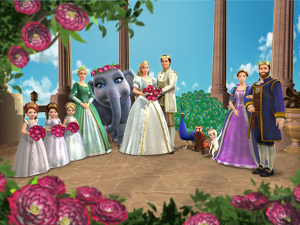 Through its heart-warming ending, Barbie as the Island Princess shows that when love guides you, miracles may be closer than you know.